201812 The Lure strategy for Black Seabream at the end of autumn. 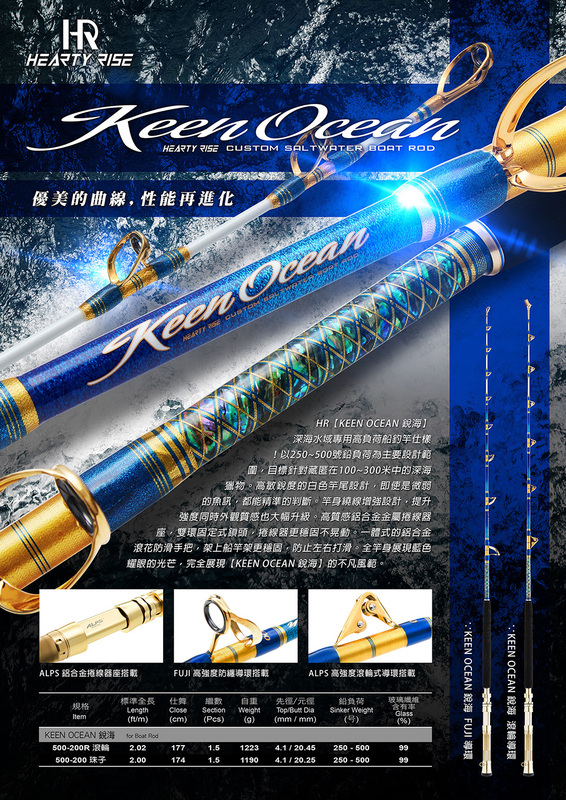 The design of the fishing rod is based on the lead loading size of 250~500, aiming at deep-sea prey hidden in 100~300 meters deep. The high-sensitivity white rod tip design can accurately receive even the weak signal. The enhanced design of the body winding increases the strength while the appearance is also greatly upgraded. 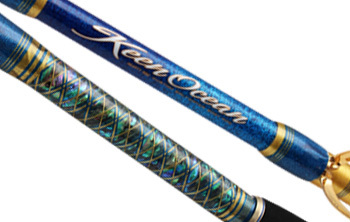 High texture aluminum alloy reel seat, and the double-ring fixed lock make the reel seat more stable. One-piece aluminum alloy knurled non-slip handle is more stable for the rod holder on board to prevent sliding. The whole body shows blue dazzling light, fully demonstrating the extraordinary style of the Keen Ocean.